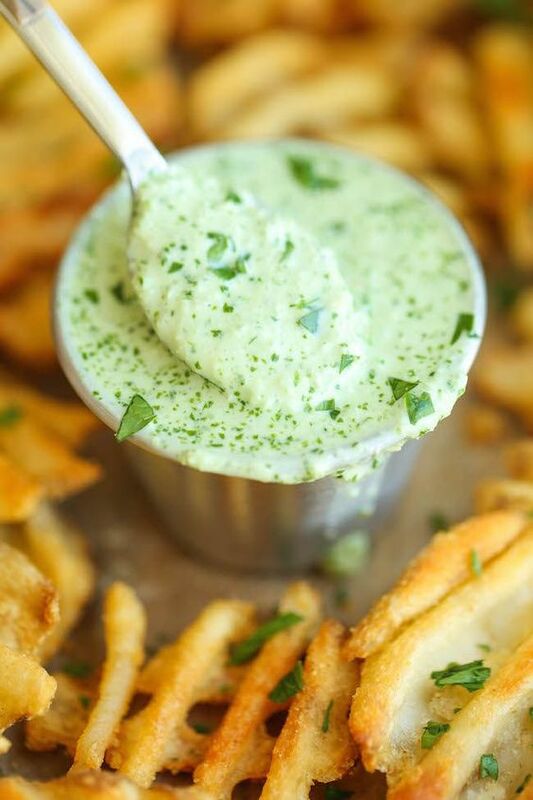 Citrus jalapeno sauce. We don't have dinner plans tonight, but it might just involve some oven-baked fries and THIS sauce (recipe here)! Yum! Did you know that a little store called Nordstrom is having a sale? Yeah, me neither. Well anyway, I do follow a few fashion bloggers and really enjoy seeing their posts about upcoming trends. Here are my four picks from the sale -- all items I will genuinely be trying on for size. They're good prices, a heckuva deal with the sale going on. And all are trends that I would love to embrace this fall (sayonara, maternity yoga pants ... it's been real). So Camille has decided that she would like a purple bedroom. We're currently looking at lavender colors for her! Anyone have experience with Sherwin Williams paint in those hues? This one is called Enchant and it looks pretty. I'd love to hear your ideas if you know any good paint colors. 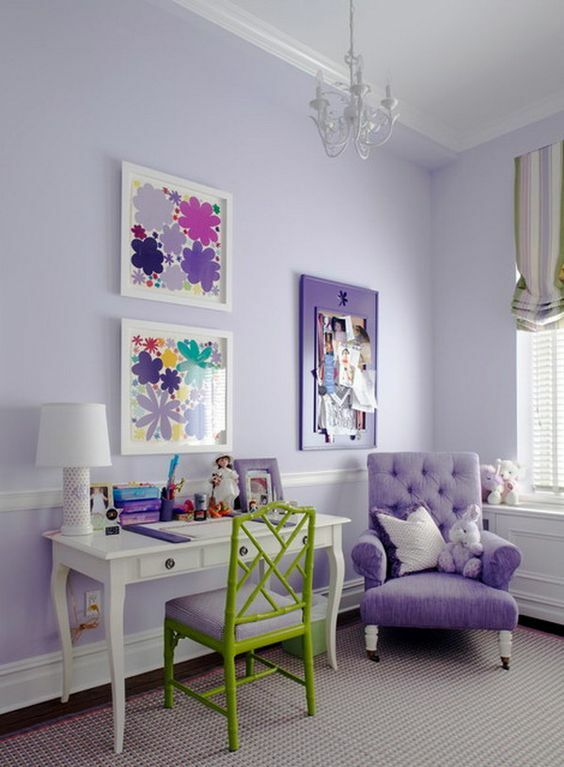 Speaking of purple rooms, look how pretty this color scheme is! Love light-colored walls with furniture in the same hue, but darker. 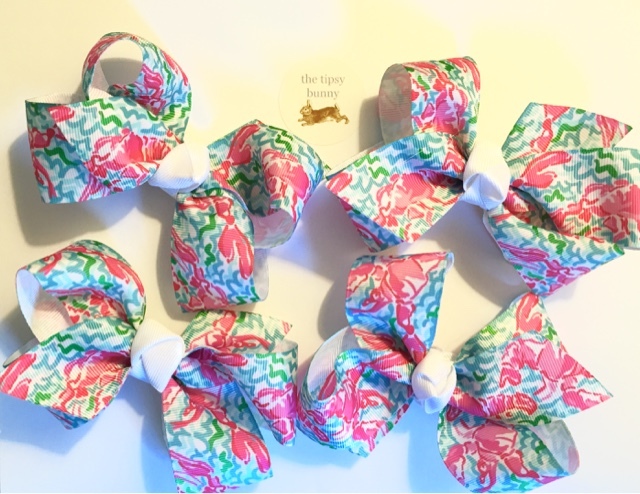 I recently made these big fluffy boutique bows in Lilly's print called Lobstah Roll. A few have already sold -- if you'd like one, please email me or comment here! Loving your Nordstrom picks!! I thought I was the only blogger out there who didn't have a card, lol! I was just talking to husby about this, and we decided it was a good thing (at least for our bank account) ha! Is it weird that I'm craving that citrus jalapeno sauce at 7:00 in the morning? Yum! That sounds amazing. I am DEFINITELY going to be trying that soon. Thanks for hosting the linkup. Have a great weekend! Do you subscribe to House Beautiful? Last month they had a great article about selecting paint colors for nursery/little kid rooms that they won't outgrow with recommended accent colors. They had this dreamy purple color with a hint of beige that I have flagged for my toddler's room. My daughter wants a purple room redo. So.....please people..... suggestions!!!!!! I feel like it could go so wrong so fast with purple. Check out last month's issue of House Beautiful. I was also hesitant to commit to a pink or purple in my daughter's room but they had really great suggestions along with accent colors to complement. I am really digging those boots! Happy Friday! We picked a light lavender for my daughter's room and it's lovely. Also, Sherwin Williams Emerald paint is the best you can buy there. We just painted most of our house in that and the paint is top quality and easy to clean. Good luck. I feel like I am going to hate jeans after being in maternity pants all last fall. Maybe a cute pair will make it better? I don't have a nordstrom card either but i'm so tempted to open one! I think those AG jeans will be hitting my cart soon! The purple room will look so good! Can't wait to see it! You'll have to report back on the dip - I can't decide if it sounds delish or not :). Have a good weekend! Abbie's room is purple too - I went with Sassy Lilac by Valspar at Lowe's - it's more of a blue-ish purple but we've loved it - it was in her nursery and now is going in her big girl room too!